The world of medicine evolves at an advanced rate thanks to the development of science and technology. New forms of treatment and vaccines are created at incredible rates, and millions throughout the world have been successfully treated for various kinds of ailments. However, various medical mysteries still persist which continue to baffle doctors and defy scientific explanations. 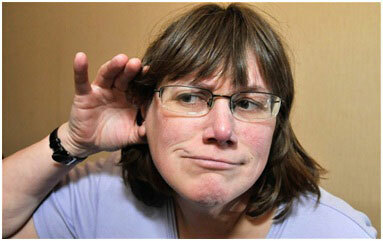 In 2006, Julie Redfern, a resident of Lancashire, England, started hearing a weird squeaking noise and initially she was unable to figure out where it came from, until she discovered that the sound occurred each time she moved her eyes from side to side. Julie was actually hearing her own eyeballs move. In the next few years, she became aware that she could hear blood coursing through her veins. Her condition deteriorated to such an extent that she could barely hear conversations at the dinner table due to her own chewing and her eyes would literally shake in their sockets each time her office phone rang. She was ultimately diagnosed with Superior Canal Dehiscence Syndrome (SCDS), a highly rare medical condition, where loss of density in the inner ear bones led to sensitive hearing. Julie was subjected to a pioneer surgery and doctors were able to successfully restore regular hearing to one of her ears. 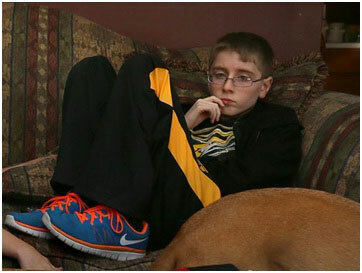 Landon Jones, a twelve year-old boy from Cedar Falls in Iowa, in 2013 suffered a loss of appetite. He felt faint and his chest was blocked with thick phlegm. He was rushed to the hospital and doctors found an infection in his left lung. The infection was handled but Landon’s appetite did not return once he got home. He began to lose weight rapidly and by the time his family realized what was happening, Landon had become 16 kilograms lighter. There is no explanation for Landon’s lack of thirst and hunger. He has to be constantly reminded to eat and drink. Eight year-old Saadia from Yemen began to cry tiny stones instead of tears at the start of 2014 and no doctor has been able to provide her a diagnosis. No expert can find anything out of the ordinary with her eyes. Another girl from the same region was diagnosed with the same case of tiny stone tears. She also suffered from a distended abdomen and would lose consciousness for hours at a stretch. She finally recovered after being treated in Jordan. However, in the case of Saadia, no doctor has been able to help her and locals in her village believe she might be under a spell. According to Saadia’s father, she also cries normal tears sometimes and the stones seem to appear mainly during late afternoon and at night. Thankfully, she feels no pain even though she may cry up to hundred little stones in a day. Brooke Greenberg of Maryland had never learned to talk and had to be pushed in a stroller even at the age of 20. Even though she was getting older, no signs of ageing had affected her body. 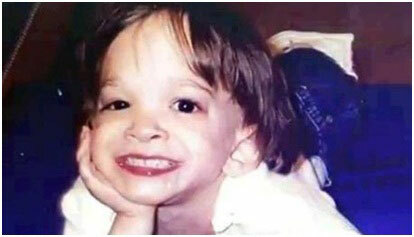 Even during her death, her mental capacity remained equal to that of a toddler and she was still the size of a baby.